‘Gaming Disorder’ is now a recognized condition, appearing in the 11th Revision of the International Classification of Diseases. 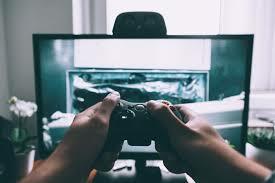 Someone who plays video games for a few hours each day could be known simply as a devoted gamer, but the World Health Organization (WHO) has a new classification for those who take it much further than that. It will be debated for a while whether or not that’s a legitimate disorder, but if the WHO is proposing it, it could end up as such. 2) Even when negative consequences result from the addiction of either online or offline gaming, the “user” can’t stop.